Please click for larger views. 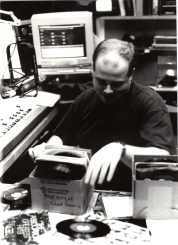 Here I am at AM Stereo 1340, WOUB, Athens, Ohio, 1999. At one time I worked in the radio business (am now in the Petroleum business.) 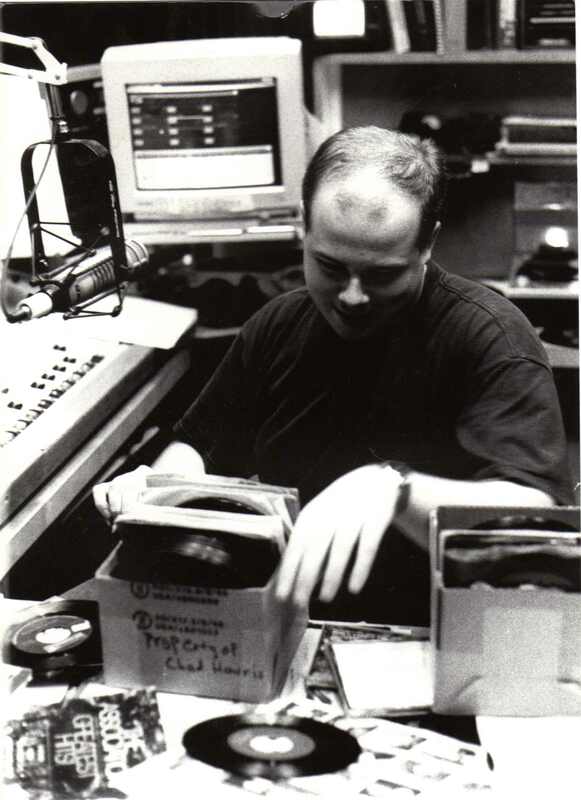 This is a scene which may never be seen again...playing 45 RPM records live on the air. This was on a program called Goldrush which does not exist anymore. It was an "Adult Standards" music show. We had a Dalet computer system for playing jingles, news and sports actualities. Just a few years earlier, we were still using "carts". 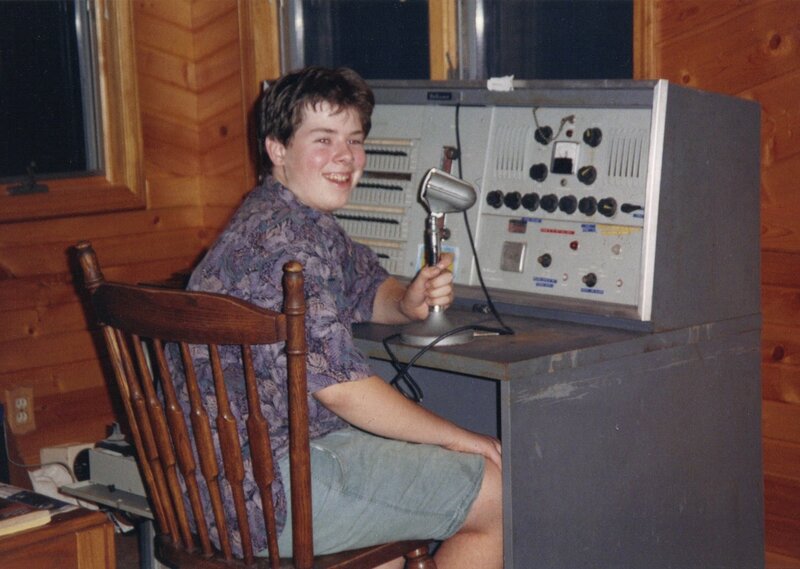 Here I am at age 16, the proud new owner of a DuKane public address console. This unit features 100 station capability, talk and listen intercom, a 60-watt power amp with 2 6CD6 output tubes, and a record player. I bid on this at a school auction in Twinsburg, Ohio and got it for $50.00. A forklift was used to load it into Dad's Aerostar and I used brute force strength to haul it into the house! I used to have this system hooked up to several horn speakers in trees in the backyard plus a speaker at the pool. It's currently in Mom and Dad's game room covered up with a blanket, awaiting its trip to my home! When I left my parents' house in Ohio for my new home in Texas, I only was able to take what would fit in my Grand Marquis, so a few more trips will be needed to load up my collection from when I was a kid. 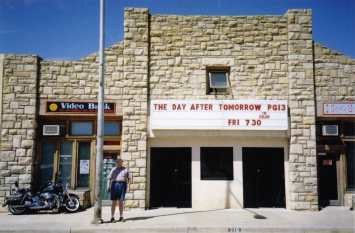 Pecos Theatre, Santa Rosa, New Mexico. This theatre has been operating since the 1920's and still uses carbon arc lamps and tube-type sound equipment. This photo was taken on a trip Gregory (Organist1982) and I went on to Albuquerque in 2004.